Ken Taylor, Canada’s ambassador to Iran who sheltered Americans at his residence during the 1979 Iran hostage crisis has died. He was 81. Taylor’s wife, Pat, said Ken died Thursday after a two-month battle with colon cancer. Taylor kept the Americans hidden at his residence and at the home of his deputy, John Sheardown, in Tehran for three months. Taylor facilitated their escape by arranging plane tickets and persuading the Ottawa government to issue fake passports. He was heralded as a hero in both the U.S. and Canada for helping save the Americans in the clandestine operation. Some of Taylor’s exploits in Iran formed the narrative line of the 2012 Hollywood film, “Argo.” But Taylor and others, including former-U.S. President Jimmy Carter, felt the film minimized his role and that of Canada in the operation. Taylor’s wife said he was diagnosed with cancer in August and that friends from Canada, the U.S. and elsewhere visited him at New York Presbyterian hospital where he was being treated. She said Taylor, born in 1934 in Calgary, has a legacy of generosity. “He did all sorts of things for everyone without any expectation of something coming back,” she said in a telephone interview. The six U.S. diplomats had managed to slip away when their embassy was overrun in 1979. They spent five days on the move, then took refuge at the Canadian Embassy for the next three months. The CIA consulted with Canadian officials on how to organize a rescue, and Canada gave permission for the diplomats to be issued fake Canadian passports. Although Taylor’s actions were made famous again in the movie “Argo,” which won the 2013 Oscar for best picture, Taylor said it made Canada look like a meek observer to CIA heroics. Friends of Taylor were outraged when “Argo” debuted at the Toronto International Film Festival in 2012. The original postscript of the movie said that Taylor received 112 citations and awards for his work in freeing the hostages and suggested Taylor didn’t deserve them because the movie ends with the CIA deciding to let Canada have the credit for helping the Americans escape. 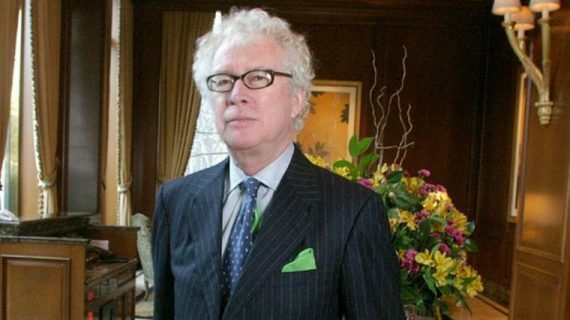 Former Canadian ambassador to Iran Ken Taylor has died, his son told CBC News on Thursday. He was 81 years old. The Calgary-born diplomat was most famous for his role in the 1979 covert operation called the “Canadian Caper,” when he sheltered six Americans who escaped capture when a mob of Iranians stormed the U.S. Embassy in Tehran and took most people inside hostage in November 1979. His actions during the hostage crisis were portrayed in Ben Affleck’s 2012 movie Argo. But Taylor and others, including former U.S. President Jimmy Carter, felt the film downplayed Canada’s role in the operation. In 2013, Taylor’s story was told again at the Toronto International Film Festival, which debuted the documentary, Our Man in Tehran. In a statement, Prime Minister Stephen Harper said that Taylor “valiantly risked his own life by shielding a group of American diplomats from capture. U.S. Ambassador to Canada Bruce Heyman issued a statement expressing condolences to Taylor’s family. “Ambassador Taylor earned the enduring gratitude of the United States — and was awarded the Congressional Gold Medal — for his valour and ingenuity in harbouring six American citizens trapped in Iran in the aftermath of the seizure of the American Embassy in Tehran on November 4, 1979 and, ultimately, in securing their safe return. It was nearly 40 years ago, but Mark Lijek remembers the day he met Ken Taylor like it was yesterday. The young U.S. diplomat had spent nearly a week on the run in Tehran before ending up in the den of a house rented by a Canadian counterpart. After a cocktail or two, he finally worked up the courage to ask the question that had been weighing on his mind and as well as those of his five fellow fugitives. Would Canada’s ambassador really agree to hide and harbour all the Americans? Mr. Taylor will forever be known as the Canadian face behind that mission. He died Thursday in New York City of colon cancer, at age 81. “One thing about Ken was that I don’t think he ever doubted what he was doing was right,” Mr. Lijek recalled in an interview with The Globe and Mail, hours after his friend’s death. “There was never any hesitation on Taylor’s part to offer us sanctuary. The backdrop to all this was the Islamic Revolution in Iran. On Nov. 4, 1979, a mob of radical university students and supporters of Ayatollah Khomeini stormed the U.S. embassy and captured it. Dozens of staff were made hostages. Mr. Taylor did not have a background in international intrigue. Prior to being appointed ambassador to Iran in the late 1970s, he had mostly been a Canadian trade commissioner who had filled his days with grain deals. But by the time of the embassy seizure, the storm clouds brewing in Iran had already led him to be part of an effort to repatriate hundreds of Canadian citizens. The six Americans diplomats had not been so lucky. 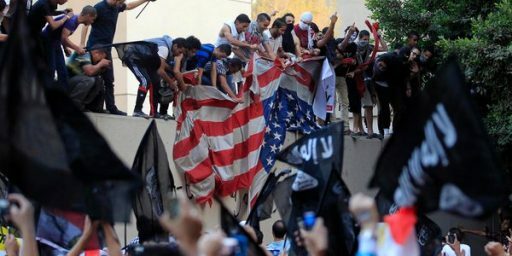 They had managed to escape the embassy seizure, but in the days that followed, they were moving from one hiding spot to another in Tehran, at constant risk of being discovered. Fellow diplomats routed them to a house of a Canadian – John Sheardown, a seasoned foreign-service officer who did most of the talking on the night the Americans first met Mr. Taylor. But after that evening, Mr. Taylor took two of the Americans into his own home and began working behind the scenes. 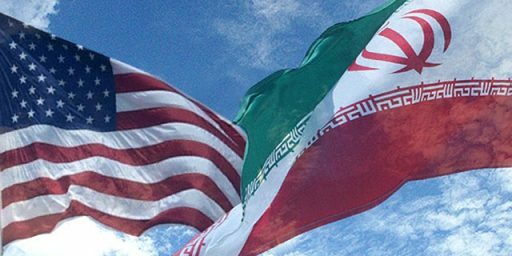 Cables travelled from Tehran, to Ottawa, to Langley, Va., where Central Intelligence Agency officials began cooking up a far-fetched scheme to get the Americans out of Iran. In the end, the CIA settled on a plan to send in U.S. operatives posing as Canadian filmmakers with a cover story of wanting to make a movie. Then, they would rendezvous with the hiding American diplomats, hand them Canadian passports and leave together on a commercial flight out of Iran. During the three months of planning, the six American diplomats stayed hidden at Mr. Taylor’s and Mr. Sheardown’s homes, punctuating long periods of boredom and despair with games of Scrabble and books such as The Raj Quartet. Mr. Taylor’s taciturn but upbeat persona helped bolster everyone’s spirits. “Every week or 10 days, he would have dinner with us,” Mr. Lijek recalled. He said that the Americans “were getting kind of antsy,” but Mr. Taylor would try to reassure them by asking questions about what kinds of passports they would feel comfortable using on their way home. “I kind of assumed we would become honorary Canadians,” Mr. Lijek said. Officials on both sides of the border kept things quiet, being ever fearful of leaks. “The cabinet issued the … passports without a full understanding of the circumstances,” former Conservative immigration minister Ron Atkey recalled. The operation went off without a hitch. The American diplomats flew home on Jan. 27, 1980, on a Swissair flight. 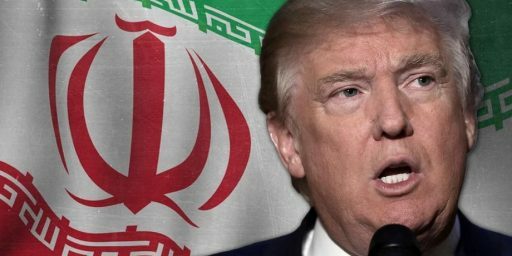 The Iranian Hostage Crisis was perhaps one of the first major news stories that I have a living memory of in the sense of not only being aware that it was happening, but also having at least some opinions about, at least as much as one can have opinions about major geopolitical issues when one is eleven years old. The most enduring memory of the initial months of that time, though, was the utter sense of despair that seemed to envelop the nation over the fate of the hostages in Iran, a sense that seemed to only be enhanced by the state of the economy at the time. When the news broke some three months into the crisis about six Americans being returned home thanks to the Canadians — obviously, the involvement of the Central Intelligence Agency in the operation wasn’t publicly discussed at the time — it was a ray of hope in a very gloomy time. The displays of patriotism that had manifested themselves since the crisis began expanded, at least for a brief time, into an outpouring of American gratitude toward our Canadian neighbors that you don’t often see in the United States. I distinctly remember seeing Canadian flags flying along side American flags in many places for weeks after the six Americans came home. When Argo was released, I was among those who appreciated the fact that the story of this great rescue was being told again, but in retrospect I can understand the complaints of those who felt that the role of the Canadian government was underplayed in the movie. In any case, whatever the movies might say history should remember that it was Ambassador Taylor who took the risk to save six lives, and perhaps his own, in a very dangerous situation. For that, he deserves the respect of all of Americans. A good man who did the right thing under extraordinary circumstances. RIP. Doug – I don’t think “notoriety” means what you think it means. I have watched Argo probably a dozen times. I haven’t come away thinking the Canadian aspect was underplayed. Perhaps I saw what I wanted to see. In any event, Mr Taylor and the Canadian government deserve our unqualified gratitude. BTW – this is a layup for American politicians. Let’s see what happens. We should lower the flag out of respect for a true friend of the United States. I was a little too young to remember this incident, and somehow haven’t managed to see Argo. Regardless, may be peace be with this great American hero (even if he’s Canadian). Then he’s a great North American hero. Certainly a hero by any reasonable standard. Agreed. Would be a very appropriate gesture. So far, the only official statement I’ve seen from the U.S. Government comes from the U.S. Embassy in Ottawa.